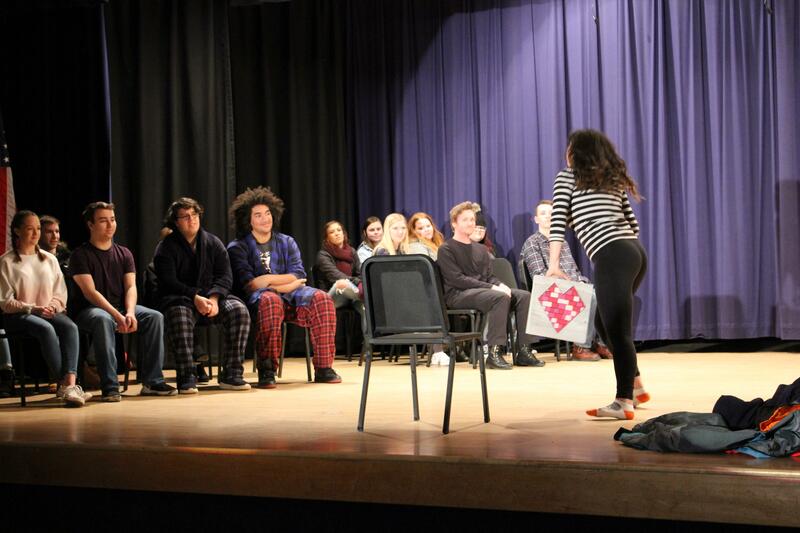 The NCHS Theatre competed and performed their play “Almost, Maine” at the Tamarack. Will Gillespie and Rosebud Thomas won WV All Conference Cast and Jacob Tallamy was awarded best supporting actor. The class worked hard with the help of Mrs. McClung. Jacob Tallamy, a theatre student of two years tells us the competition went incredibly well. “I think we did amazing. We made absolutely no mistakes that I can think of and the others loved our performance. Most importantly, we had so much fun,” he says. Acting can be intense and nerve-wracking. The students as well as Mrs. McClung work very diligently and are putting on an additional show in May. The second play is called Pecos Bill and Slue-foot Sue Meet the Dirty Dan Gang. The cast and crew are very hard-working and driven, and develop many skills throughout the year, as well as gaining more confidence in social situations. “Theatre pushes students out of their comfort zones and forces them to work collaboratively to overcome . I hope students grow as individuals by learning the importance of unity and pursue things without worrying about what others think of them. Most of all, I hope students have fun,” McClung says on her aspiration for the NCHS Theatre Department.